This deep teal jelly contains gold, green and blue hexes with what appears to be a red or copper shimmer. It looks best at 3 coats; pictured is 2. This entry was posted in Nail Polish Collection and tagged blue, glitter, green, indie nail polish, indie polish, jelly, kb shimmer, nail polish, swatch, swatches, teal on January 22, 2016 by Mel. This packed berry jelly contains holographic glitters of all shapes and sizes. For best results, use 3-4 coats. This entry was posted in Nail Polish Collection and tagged glitter, indie nail polish, indie polish, jelly, nail polish, pink, rainbow honey, swatch, swatches on January 20, 2016 by Mel. 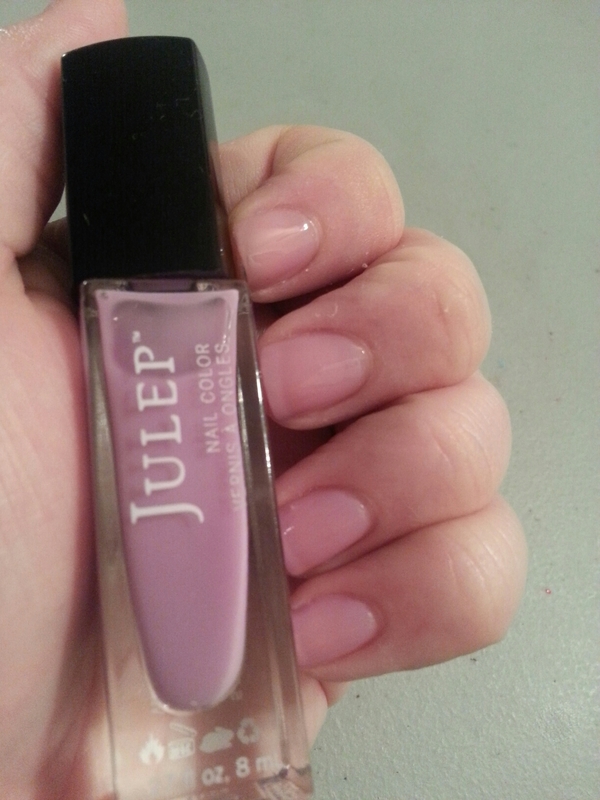 This dusty pink jelly never really gets opaque, but it’s great for french manis, and jelly sandwiches. 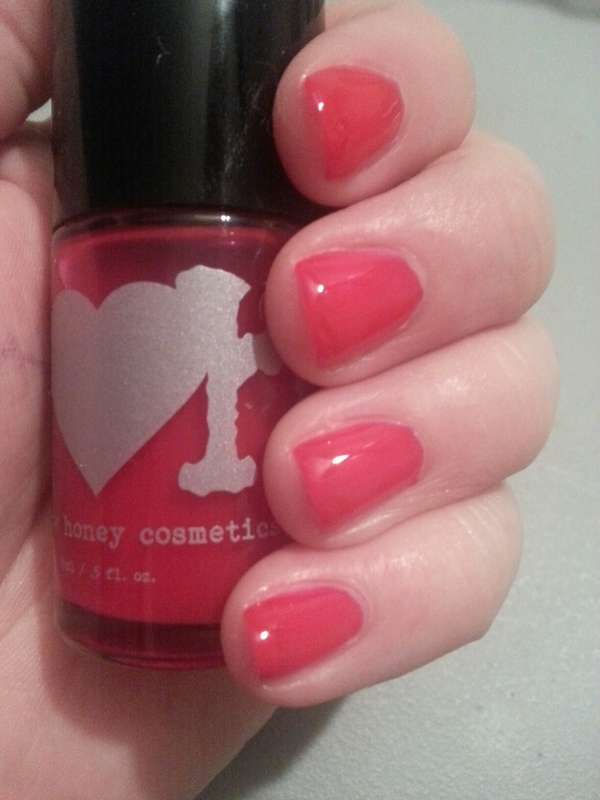 This entry was posted in Nail Polish Collection and tagged jelly, julep, nail polish, pink, swatch, swatches on January 3, 2016 by Mel. The base of Witch Way? is a very dark grape jelly jelly filled with little silver holographic glitters. I used two coats in the photo, but I like it better with three. 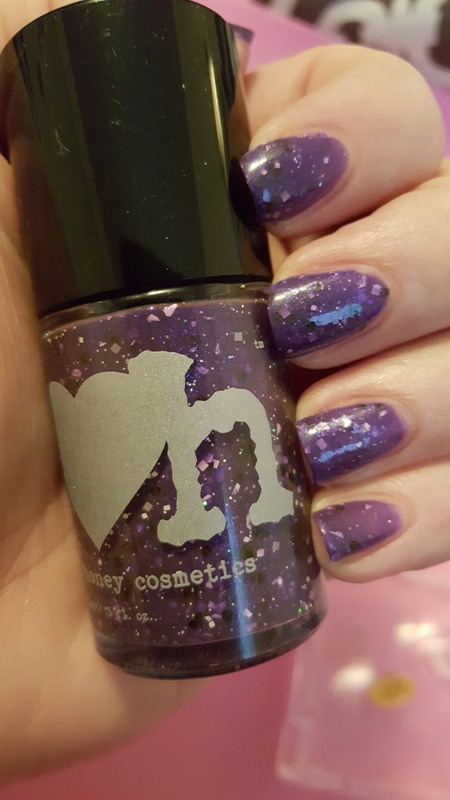 This entry was posted in Nail Polish Collection and tagged glitter, indie nail polish, indie polish, jelly, kb shimmer, nail polish, purple, swatch, swatches on October 19, 2015 by Mel. This very dark blue jelly is full of blue shimmer and blue and green glitters. It looks best when you wear three coats. This entry was posted in Nail Polish Collection and tagged blue, glitter, green, jelly, nail polish, sally hansen, swatch, swatches on October 18, 2015 by Mel.